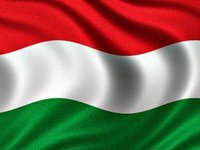 Hungary has blocked holding of a meeting of the Ukraine-NATO Commission in December 2017, the Hungarian Ministry of Foreign Affairs and Trade said. "Hungary cannot support Ukraine's integration aspirations, so it vetoed the holding of the NATO-Ukraine summit in December," the ministry's press service quoted Hungarian Foreign Minister Peter Szijjarto as saying on Friday evening. He also noted that Hungary had previously been one of the most active supporters of Ukraine's European aspirations. The Minister recalled that after the Verkhovna Rada passed the bill "On Education", Hungary promised that its diplomacy will use all the tools available to impede Ukraine's European integration. He said Budapest is ready for consultations, but cannot agree "with the situation when the law has significantly reduced the rights of national minorities" and will continue to take diplomatic steps until Hungarians living in Zakarpattia say that the situation has been resolved. In addition, Hungary is concerned that "the Ukrainian parliament's agenda includes bills on language and citizenship that threaten Zakarpattia's Hungarian community." The minister noted that there is no way to bypass the Hungarian veto, because a unanimous vote is required to convene a NATO-Ukraine commission meeting.